(Castle Classics) 14 tracks 1978/79 (38:26). 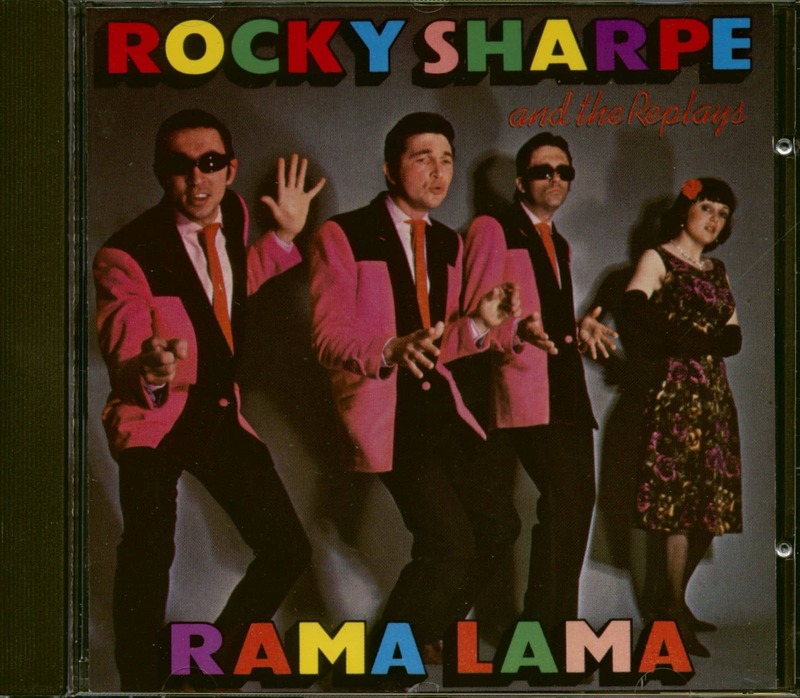 "Rocky Sharpe & The Replays"
Rocky Sharpe and the Replays were formed in 1978 by Rocky and Johnny Stud, both former members of an earlier rock 'n' roll doo wop group, Rocky Sharpe and the Razors (another off-shoot of which went on to become the hit group Darts). The brother brought in a friend of theirs, Helen Highwater, to add her clear soprano voice to the sound. 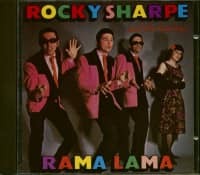 After cutting their first single, "Rama Lama Ding Dong", they then entitled the services of Eric Rondo as bass vocalist. Between 1975 - 85 the group had considerable record success in Britain and the rest of Europe (particularly in West Germany and Spain) with seven hit singles, including "Rama Lama Ding Dong", "Imagination", "Martian Hop", "Shout! Shout! (Knock Yourself Out)" and "If You Wanna Be Happy". They recorded four albums and did television, radio and live work throughout Europe and Scandinavia. They had record success as far afield as Australia and their records also sold well in Japan and South America. In the last few years there were a couple of line-up changes, with two new female vocalists and a new bass recruited. 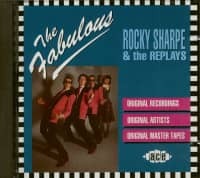 The band continued to record and perform live, but at the end of 1985 they went their independent ways, but still linked by their uncommon love of doo wop. 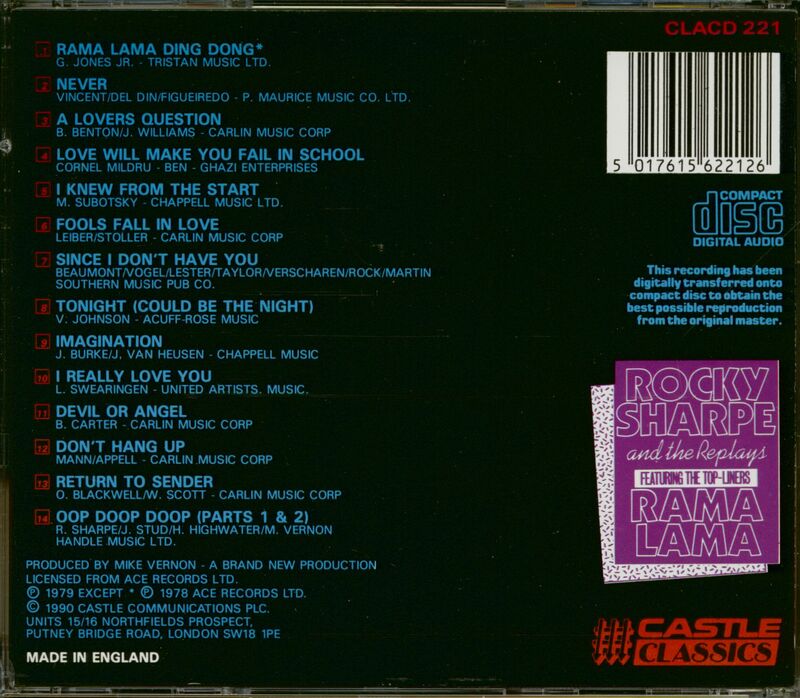 Customer evaluation for "Rama Lama (CD)"